The American Bobtail has grown in popularity in recent years. Originally bred in the 1960s, John and Brenda Sanders found a male brown tabby cat with a bobbed tail while vacationing in Arizona and bred it with a Siamese female. The resulting litter was born with bobtails, but this feral looking cat is most likely not part Bobtail. American Bobtails are medium to large cats that have a naturally short tail (hence the name 'Bobtail') that is usually straight. The American Bobtail's hind legs are slightly longer than the front legs. Females will reach an average weight of seven to twelve pounds and males can average over fifteen pounds. American Bobtails are not considered fully mature until they are about three years old and will live an average of twelve to twenty-one years. Originally only a longhaired breed, American Bobtails are now both long and short haired. The longhaired Bobtails have slightly shaggy medium-long hair that does not mat. Shorthaired Bobtails have a medium length, a semi-dense double coat that is also mat resistant. American Bobtail coats come in all colors, though white and brown is the most popular color. Many allergies suffer find themselves more comfortable around American Bobtails, they are not considered hypoallergenic. This breed of cat makes an excellent family pet and does very well with children and other household pets. They do not mind much of the rough and tumble play children are fond of. American Bobtails are described as friendly, talkative and social. They enjoy climbing so an indoor cat tree or cat condo is a must. American Bobtails love to play games and have been known to initiate playtime with their families. They are also considered extremely intelligent and loyal. American Bobtails adapt easily to new environments, whether busy and loud or quiet and serene and bond closely with their family. This breed is also sometimes used in therapy, as American Bobtails can be quite sensitive to the needs of humans. In general, American Bobcats are a healthy breed of cat; however, some are born without tails, which can cause some medical problems due to their shortened spines. torsion (bloat) and if they do not get enough exercise will quickly become obese, leading to other health problems. Made prominent by its short tail, Japanese Bobtail is an ancient feline that is thought to have resided in Japan for many centuries. There are numerous interesting legends associated with the beautiful feline, which is considered to be a symbol of good fortune in Japanese folklore. Japanese Bobtails were first imported to the United States in the late nineteen sixties. Following some years of formal breeding, acceptance of its status as a distinct breed came in the seventies. Both long and short hair variants of the cat are recognized. Registration came late in the United Kingdom, only at the turn of twenty-first century. "JapaneseBobtailBlueEyedMi-ke" Licensed under CC BY-SA 3.0 via Wikimedia Commons. Japanese Bobtails have an elegant semi-foreign build with good muscular development. They have a square rather than a rectangular profile and are not tubular like some oriental breeds. Head is triangular with slanted, oval eyes, well-developed cheek bones, and large, widely set ears. The coat is seen in a number of colors in van, tabby and tortoiseshell patterns. Both short and semi-long hair versions have a smooth, silky feel to them. Longhaired cats' tails are fluffier and are like pom-poms. Legs are long, with hind legs being longer than four legs. Though they also have a short tail, Japanese Bobtails are quite different from the Manx and American Bobtail cat. Their genetic mutation is different. Body structure and profile are also unique in case of the Japanese cat. Even the short plumed tail is distinct, with each individual cat having a singular tail size and appearance. Japanese Bobtails are reputed to be very brave and fearless creatures. They are not afraid of other animals and mingle easily with dogs and other large pets. Energetic and active, these sturdy cats are good athletes and spend lots of time daily playing with their toys. Quick to mature and develop from birth, Japanese Bobtails are among the most confident and self-assured feline breeds. 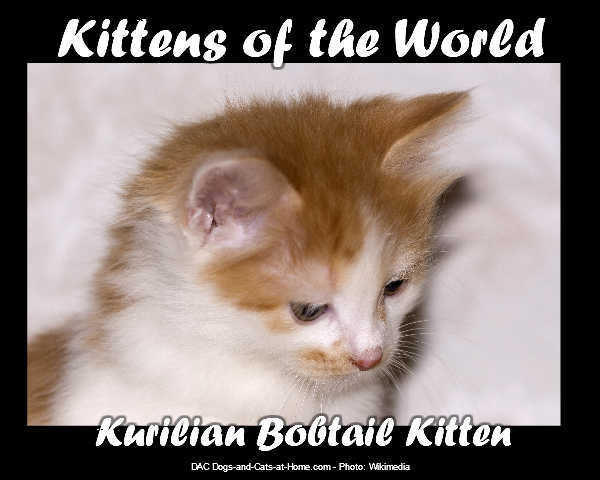 The author is a blogger about cats and an expert on Japanese Bobtail cats. If you want a friendly cat and don't mind that the breed you've chosen is a bit of an upstart in the cat world, since it only has existed since the nineteen sixties, you may want to consider the American Bobtail. The American Bobtail is one of only three breeds in the Cat Fancier's Association's Provisional Class, which is where cat breeds are placed until they show that they are able to stay true to their standards. 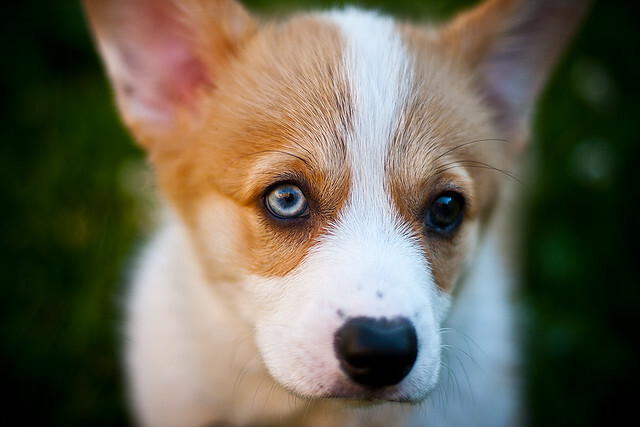 This breed is a lightweight compared to many other breeds, weighing in at seven to fifteen pounds. The American Bobtail received its name because of its extremely short tail. While no one is completely sure how this breed was developed, cat fanciers suspect that the American Bobcat, Manx, and Japanese Bobtail breeds are all ancestors of the American Bobtail. However, while the Manx can be completely tailless and still are able to compete in the show ring, the American Bobtail must have a tail. The tail should be short enough to stop before it reaches the cat's hocks. While many cats have a sleek, slender appearance, the American Bobtail standard calls for a stocky, muscular cat with big paws and a slightly wild appearance. This cat's head is wedge shaped, but broader than normal. The Bobtail breed can be a shorthair or a longhair, but even shorthair cats do not have smooth coats. The shorthair coat still is long enough to give the cat a bit of a shaggy look. While the Bobtail can come in any color, fawn and white, blue tabby, red tabby, and brown tabby are the most common colors. Shorthair cats are much more common than longhair cats, since the shorthair gene is actually dominant. Since American Bobtails are very friendly and a bit nosy, they are prone to get into quite a bit of mischief if they are unsupervised and become bored. If you are away from home for long periods of time, you should be sure that there are plenty of toys available so that your cat can amuse himself and still keep out of trouble. Since this breed is fairly sociable, you may also want to add a second cat to the household to avoid having your cat feel too lonely. The American Bobtail's outgoing temperament makes this breed an ideal choice for families. If you socialize your kitten from a young age, he should actually look forward to having friends and family visit. When the Bobtail was first developed, this breed had quite a few common health problems. However, in the late twentieth century, concerned devotees of the breed worked to rid it of most of these problems. Today, the American Bobtail is a strong, sturdy cat. Since even the shorthair has a coat of some length, you will need to groom your cat at least once a week. Although the longhair coat does not tangle easily, you may need to groom your longhair Bobtail a bit more frequently. If you accustom your kitten to the grooming process when he is young, he will actually grow to enjoy the attention. If you want to own a cat who is sweet and sociable, but still has an undomesticated streak, then the American Bobtail may just be the perfect breed for you. A domestic cat breed, American Bobtail is rumored to have evolved as a result of the crossing between a Bobcat and a domestic tabby cat. This is however, unlikely to be true since offsprings of interspecies breeding are usually sterile, particularly in case of males. So even though there was a large male tabby cat found in Arizona in nineteen sixties who subsequently crossed with a Siamese female and produced the first recorded American Bobtail kittens, chances are that he was just a feral cat of domestic origin. This is probable owing to the fact that the gene leading to the shorter tail is a mutant one and can occur occasionally in domestic cats. It would take another two decades from the sixties before serious breeding was to start. No outcrossing was undertaken and the breed was created through short tailed domestic cats. Formal recognition came only a few years ago, in the twenty first century. American Bobtails are relatively large cats with a muscular build. They are sturdy and athletic animals. Head is broad and resembles the skull of wild cats, with wide set tufted ears and deep eyes that occur in various colors. Coat is either short and dense or long and shaggy. In either case it is double layered and doesn't get tangled easily. Tail is short and usually half the size or less of a normal house cat's tail. It is said to be the result of a mutant gene similar to the one seen in Manx cats. American Bobtails resembles their wild cousin Bobcats in a number of ways. Not only do they have a short tail, they also possess a certain wild look and spirit about them that often fools the casual onlooker as regards the identity of this pretty felid. Their hind legs are longer than the front, like those of the Bobcat, and like their counterparts in nature, American Bobtails are capable of great athleticism and speed. American Bobtails are very social animals. They form long term bonds in no time with their humans and tolerate children and pets quite well. Playful and active, these agile felines spend a great deal of time daily chasing objects and having fun. 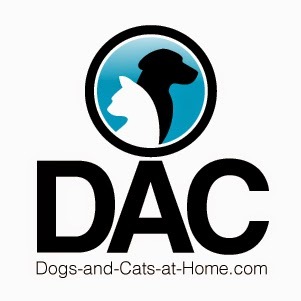 The author is a blogger about cats and an expert on American Bobtail cat.